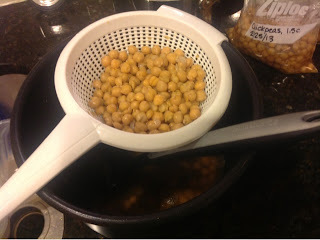 I used to buy canned beans but a few years ago I switched to preparing dried beans myself. 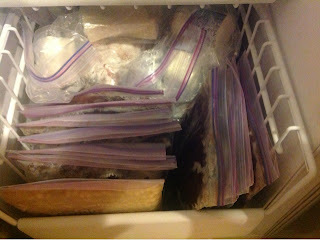 I cook them in large batches and then freeze them. Beans defrost rather quickly so it's almost as convenient as canned beans, but you control the amount of salt. One might also argue that using dry beans is more environmentally friendly as you are reducing the shipping weight. I'm not sure if the carbon footprint of the dried beans is lower, but I like to believe it is. Then I strain a few scoops of beans in a colander set over the pan, this way I retain more of the liquid. I then use the ladle to scoop measured volumes into the bag. From what I've read, most cans of beans have 1-1/2 cups of beans. 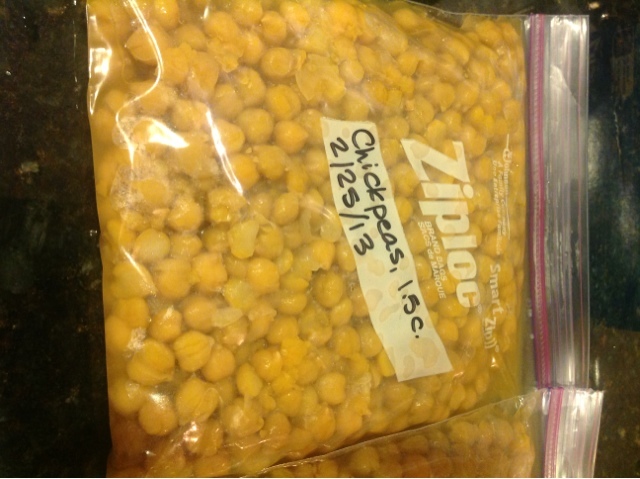 After making these bags, though, I'm guessing a can of chickpeas is actually 1 cup. Next, I add some more of the liquid and seal the bags. I spread them out flat and place them on a tray that fits nicely in the freezer. 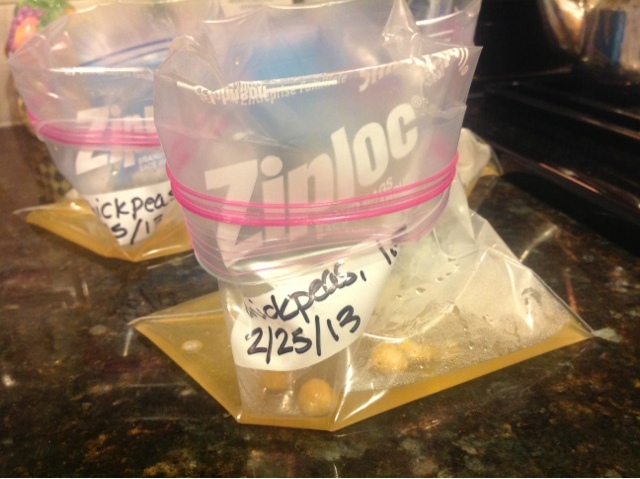 Last, I pop them in the freezer and leave them on the tray until they're frozen flat. 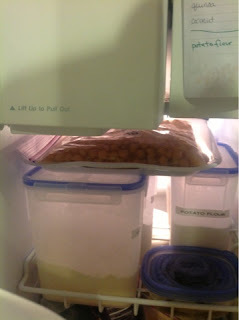 I store all my beans upright in a freezer drawer. What's the cost differential? I'm guessing dried beans are substantially cheaper? Good point, John! At a local Harris Teeter (not where I shop, but they have online prices!) a 16 oz can of Goya black beans is $1.49. A 16 oz bag of dried Goya black beans is $2.19. I would get 5 "cans" out of that 16 oz bag, so my equivalent can is about $0.44, or slightly less than a third of the price. I actually buy my beans in bulk, so it's probably even cheaper still.